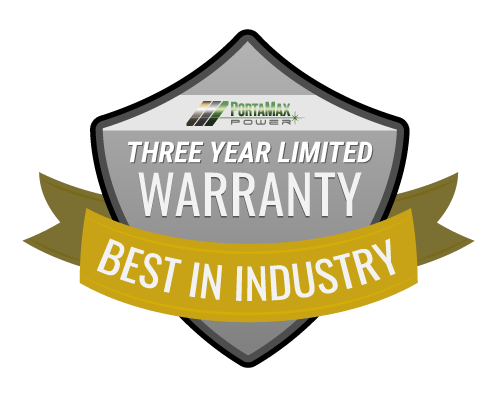 PortamaxPower’s warranty is the best in the industry. Most manufacturers give you one year, maybe two… and they don’t even cover the battery! We are so confident in our product that we offer a Three Year Limited Warranty to our registered customers. Commercial/Government Agency warranty is for one full year from purchase date. PortaMaxPower, LLC warrants to the original consumer purchaser that our PortaMaxPower product will be free of material or workmanship defects for a period of three years from the date of purchase. This warranty is not transferrable. This Three-Year Limited Warranty does cover our LiFePO4 batteries when properly maintained. Fully charge your LiFePO4 battery as soon as you receive your Solar Sentinel. Use it and fully recharge it at least once every six months thereafter. See the owner’s manual for additional instructions on operating your Solar Sentinel. PortaMaxPower will repair or replace at our discretion, any PortaMaxPower product found to have a defect in material or workmanship, free of charge. Warranty Exclusions – this warranty does not apply if the product has been modified, misused, or has been damaged by accident, abuse, or misapplication. Batteries not correctly maintained as described above and in the Solar Sentinel Owner’s Manual are also excluded from this warranty. This warranty gives you specific legal rights, and you may also have other rights which vary from state to state. To initiate a warranty claim, please contact our Customer Support Team at [email protected]. To register your product for warranty coverage, visit our Warranty Registration page. For questions or service, please contact us. 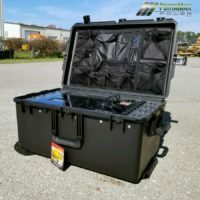 Get the all-inclusive Solar Sentinel Power Package – Including the Solar Sentinel 2400, three light weight high-efficiency 330w solar panels (990-watts total), Pelican lid organizer and cabling with case. Everything you need for sustainable solar power! PortaMaxPowerTM is the manufacturer of the Solar Sentinel 2400,TM the first Truly Sustainable Portable Solar Generator. Assembled in the USA. Join our email list to receive product updates, exclusive sales and more! The residential renewable energy investment tax credit allows a taxpayer to claim a 30% rebate on their qualified expenditures for a residential or commercial solar-electric system. Check with your accountant to see if you qualify.